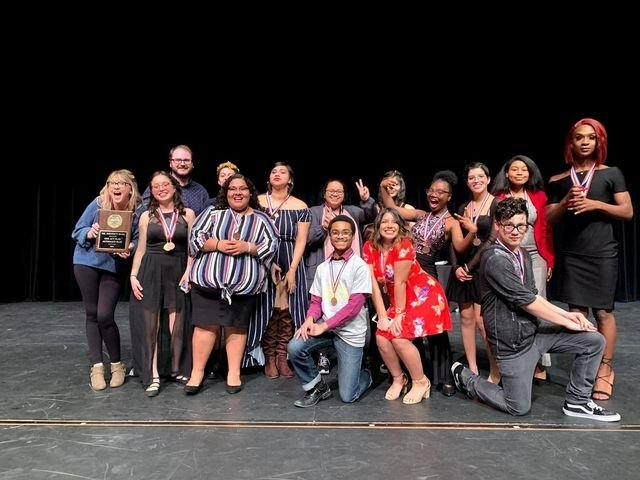 It is with GREAT pride and honor that I share our results of this year's UIL One Act Play Competition! The kids did a phenomenal job representing our campus against some incredibly difficult districts. To give you just an idea of what we're up against, all three campuses of advancing schools had between 2 - 4 theater directors at their campus. We also received three individual awards for the students listed below. Please congratulate the kids & we hope you will attend our final performance of The Yellow Boat next Thursday at 6:00pm and at 7:00pm. Admission is free for all staff and teachers at Lanier!  Plus, the show only runs 40 minutes and I PROMISE -- no singing! We hope to see you there & can't wait to hit the ground running in 2019. Wallner & I feel that NEXT YEAR will be OUR year to finally push past alternate & advance to Bi-District.